The best way to get cheap trucking insurance is to compare multiple agents at once. Fill out one form and we’ll bring you 3 agents to compete for your big truck policy! Let’s not beat around the bush—insurance for big trucks can get expensive. Whether you’re a grain hauler in Colorado or a hazmat trucker in Texas, your insurance premiums are going to be a large part of your monthly expenses. 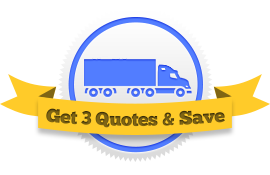 Luckily there are a few things you can do to get the cheapest possible quote on trucking insurance. 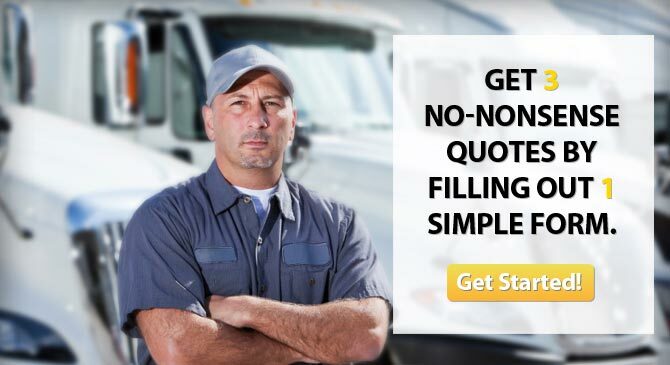 As an insurance rep compiles a quote for you, he’s considering details like where you’re from, how far you usually drive, what materials you haul, and what your driving record looks like. Each insurance company will use these identical details when determining how much to charge you. The thing is, each company weighs your details differently. One company might look at you, see where you’re from and your radius, and offer a very high premium. But another company might see the same thing and offer a much, much cheaper premium. The trick is finding an insurance company that’s right for you. The best way to do this is to get in touch with multiple companies. Our service connects you with 3 agents so you can compare the quotes and select the best deal. Big truck insurance companies will offer you discounts to make their policies more attractive. Discounts for safe driving, discounts for longtime customers, discounts for having safety protocols. Simply ask the agents which ones you qualify for. This one’s a little tricky. To get cheaper big truck insurance overall, a good thing to do is pay your entire premium at once. That is to say, you write a single check to your insurance company for however many thousand dollars it costs to insure your truck for one year and you’re done for the entire year. When compared with paying month-to-month, this payment plan can actually save you about 10% in the long run. There are some essential coverages you need to insure a big rig, and there are some that are just nice to have. Working with a professional agent can help you tailor a policy that covers your unique risks at the best price. Liability Insurance – All O/O with authority are required by the FMCSA to have Property Damage and Bodily Injury with a minimum limit of $750,000. Cargo Insurance – Almost all brokers and shippers require their drivers to insure the freight they haul. Basically, you won’t be able to find work without this coverage. Physical Damage Insurance – This coverage pays for damage to your rig. It’s usually about 2-3% of your vehicle’s value. If you’re desperate for a very cheap trucking insurance plan, you can always increase your deductibles. This can be a little risky since you will be responsible for paying more in the event of an accident for what amounts to a tiny bit of savings month to month. Don’t become complacent with your provider. Insurance companies have a bad habit of silently raising your rates at the end of each year. Truckers with the cheapest insurance are those who switch their providers periodically.